India has never been a bad nation when it comes to producing cricketing talent. From the 1980s, where Sunil Gavaskar played against the cruel West Indies pace attack, India has produced wonderful batsmen. The great Sachin Tendulkar, Navjot Singh Sidhu, Sourav Ganguly, Virender Sehwag, to name a few. The list goes on for eternity in case of talented Indian batsmen. But can the same be argued for bowlers? 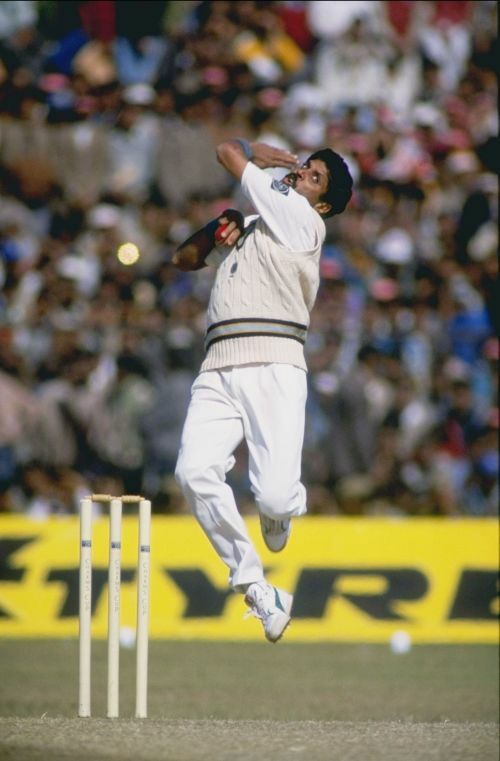 Kapil Dev is certainly the epitome of fast bowling in Indian cricket. However India is not regarded highly for its pace bowlers. Pakistan has had a potent pace attack for a long time. Imran Khan, Waqar Younus, Wasim Akram, Shoaib Akhtar, Mohammed Amir and so on. Pakistan has excelled in producing quality pace bowlers. Australia is known for lethal pace bowlers ever since Dennis Lille's era. The baton passes as smooth as silk for them. They had McGrath, Jason Gillespie, and Brett Lee to spearhead bowling attack. When McGrath and Gillespie passed their prime, Lee and Mitchell Johnson took over. Starc, Cummins and Hazelwood are continuing on the same path. But for India, the changing times were tough. Kapil Dev was amazing. But the passing of the baton was not easy. Zaheer Khan answered the calls during 2000s. Until then India lacked a threatening fast bowler. Zaheer, alongside Ashish Nehra and Lakshmipathy Balaji, spearheaded the pace attack. However, both Ashish and Balaji were unlucky. They didn't get enough starting 11 spots. Nehra was plagued by injuries, and Balaji let down by his performances. Irfan Pathan could swing the ball but didn’t deliver consistent performances. India and their overseas performances in Test matches were not amazing, especially under MS Dhoni. MS Dhoni might be the best captain ever in Indian Cricket but he lacked fast bowling options that led to heavy defeats at Australia, New Zealand, England and South Africa. MS tried several pace bowlers during his tenure as captain. Zaheer Khan was the pivot. He was supported by a number of bowlers like RP Singh, Praveen Kumar and S. Sreesanth. But the quality of these bowlers was nowhere near intimidating as the other nations. Even youngsters like Vinay Kumar and Varun Aaron didn’t step up to the opportunity presented. Due to this dilemma, MS trusted his spinners a lot. Amit Mishra, Pragyan Ojha, Piyush Chawla, and not to mention the Turbanator Harbhajan Singh, all got their chances in the Test team. MS found his solid spin duo in Jadeja and Ashwin. He made them regular starters in his team. This might have raised a few eyebrows due to the CSK quota as people called it but Ashwin and Jadeja though, were proven first-class cricketers and didn’t disappoint. The failure to find a quality pace attack, hit India hard in their 2015 World Cup Campaign. Mohit Sharma, Umesh Yadav, Bhuvneshwar Kumar, all were under par when it mattered. Australian conditions were not suitable for the lead spinners. The changes that come with time has been dear to India. They have finally got the firepower in their pace battery. They have lead bowlers upfront. They have bowlers who could wreak havoc in the batting lineups. They have bowlers suitable for all formats. Mohammed Shami, Ishant Sharma, Jasprit Bumrah, Umesh Yadav can all lead a pace attack. India have their death over specialists in Bhuvi and Bumrah. They have their opening bowlers for all formats as well. Jasprit Bumrah’s adaptation to the longest form has been amazing. Coach Bharat Arun deserves tremendous respect for mentoring the bowlers. This transition state has not been easy for India. Zaheer’s departure and India’s bowling woes, were compelling for a prime, pace bowling lineup. Umesh, Shami and Bhuvi made their debuts under Coach Duncan Fletcher. Fletcher has never been seen as a man who helped Indian Cricket. But he handled the transition phase of Indian Cricket. The three were drawn into the team by Dhoni and Fletcher. They have grown as bowlers over time, credit to their hard work and tutelage of Bharat Arun. But they were shown the spotlight by MS and Duncan, who deserve the credits for it. The current scenario of the pace attack is promising. Virat Kohli trusts his pace bowlers. They are delivering upbeat performances. The current England tour has been a revelation of this pace attack. Ian Botham himself, appreciated the bowlers, during the match analysis. The Ranji trophy, IPL and regional leagues such as KPL, TNPL have played their part, in developing the future of pace bowling. IPL 2018 was the revelation for raw talents like Deepak Chahar, Avesh Khan, Prasidh Krishna and many more. TNPL unearthed a talent called T Natarajan who has the potential to succeed. 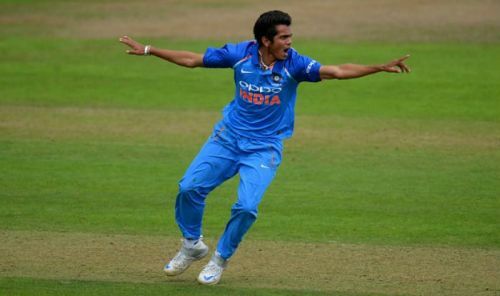 Bowlers in Indian U19 time, Kamlesh Nagarkoti, Shivam Mavi and Ishan Porel, could be forged into amazing fast bowlers. Their performances in U19 World Cup speaks volumes of their talent. Deepak Chahar was an amazing find by CSK. He impressed with his bowling in the powerplay. Shardul Thakur and Jaydev Unadkat are good enough for first-team action. Captain Kohli should consider giving them an opportunity in T20s. Syed Khaleel Ahmed performed wonderfully in the recently concluded quadrangular series. Amongst all, we have to give credit to the Indian team selectors and IPL team owners as well. Their passion, to give youngsters the chance, is to be appreciated. India are finally getting their groove in the fast bowling department. Chief of Selectors MSK Prasad has done well in naming the India A and B teams, and Indian Cricket’s future is in good hands. Ranji Trophy has been unearthing as many talents as County Cricket. He has also given chances to one or two new faces in every India. Rahul Dravid in the coaching role at the grassroots level is a blessing for Indian cricket. Hope we see a lot of edges nicked and stumps fly in the near future.